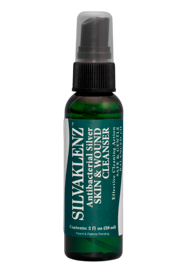 Diabetic Ulcers, Post Surgical Wounds, Dermal Lesions, Skin Irritation, Abrasions Does Not Contain Alcohol, Triclosan nor Benzoyl Chloride. FDA Clearance. Numerous reports in the media and professional medical literature have expressed grave concerns about the effectiveness of currently available antibiotics against multi-drug resistant bacteria. 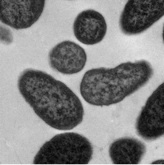 Some strains of pathogenic bacteria have demonstrated rapidly evolving defense strategies that render antibiotics worthless. One defense strategy used by microbes is to secrete a substance known as biofilm, which provides a protective shield effectively blocking antimicrobials from contacting the microbe. 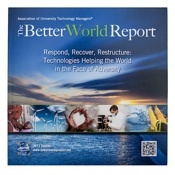 SilvaKlenz® and Silvion® were one of 23 technologies featured in the 2011 Better World Report, published by the Association of University Technology Managers. The Better World Report, published annually, promotes public understanding of how academic research and technology transfer have changes people's way of life and made the world a better place. SilvaKlenz® and Silvion® are the first two products incorporating this revolutionary Potentiated® antimicrobial technology to receive FDA clearance for professional use. These solutions have been proven to kill todays most pathogenic bacteria including multiple-drug-resistant bacteria such as Methicillin-resistant Staphylococcus aureus, Acinetobacter baumannii, and Enterococcus faecalis. In vitro testing has shown that microbes that quickly develop resistance to antimicrobials in vivo, are unlikely to remain resistant or develop resistance to Potentiated® antimicrobials. An innovative technology, based upon research conducted by the Emerging Disease Research Group at the University Of Georgia, has been developed that significantly enhances and potentiates the killing activity of topical antimicrobials. 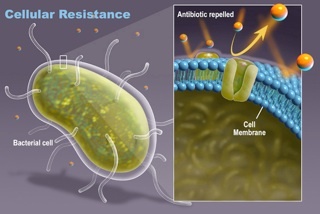 This new class of antimicrobials destroys protective biofilms as well as the integrity and functionality of the microbe’s cellular membrane. 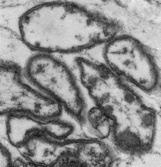 The following electron micrographs demonstrate the effect of Potentiated® antimicrobials, against a multi-drug resistant Pseudomonas aeruginosa.